The scroll wheel on one of our mice was not working right. The mouse wheel is a disk with slots; light shines through the slots and that is how the computer knows when the mouse wheel turns. 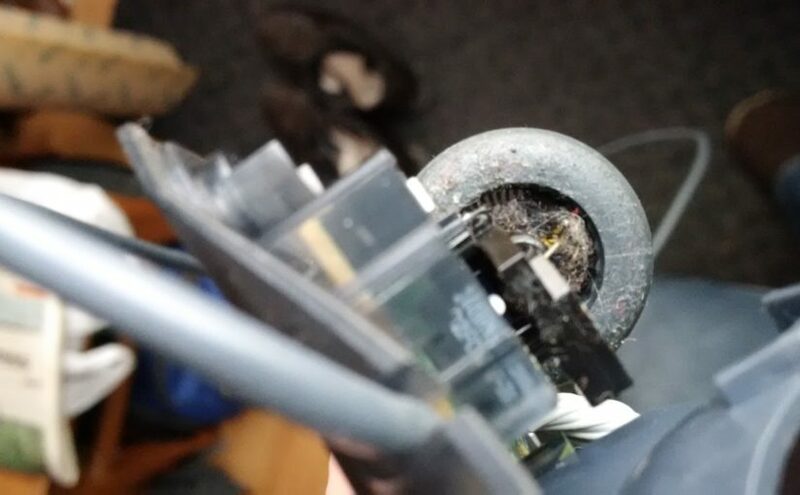 I took the mouse apart and there was all sort of dirt stuck in the little slots. Cleaned out, works fine now. Nice to see that not all electronics are only disposable and some things can still be fixed.